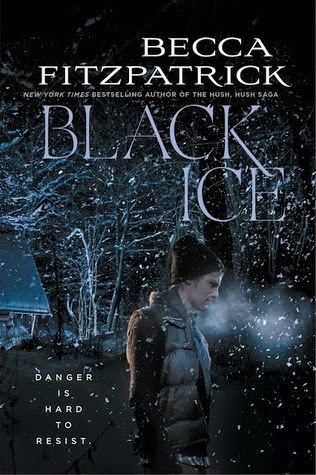 BLACK ICE is a tense, thrilling ride with a lot of danger, gasp-worthy moments and head-spinning twists and turns. It’s the kind of book that deserves to be read alone, at night, with a warm cup of tea/coffee to maximize dramatic effect. Becca Fitzpatrick does a splendid job of hurtling her readers into the frigid wilderness with Britt. I legit felt cold reading this in the middle of summer, sun blazing outside. She’s that good at transporting the reader into the middle of the action. The desperation is palpable throughout the majority of the book. I know what you’re thinking—Then why the 3 ½ star review, Hannah? Sadly BLACK ICE is a book that didn’t know when to quit. This is the type of book I wanted to end with a BANG and then be wrapped up in a chapter or two towards the end. But this book limped along at the end. The last 50 or so pages were full of unnecessary drama that made the overall plot seem cartoonish and ridiculous. This book was phenomenal for the first ¾ of the novel. But then it seriously derailed to the point where I could only sigh and shake my head. It’s definitely worth a read, just proceed with caution. What a shame! I've been meaning to read something by Becca Fitzpatrick since she will be at YALLFest this year, but maybe I'll just stick with Hush, Hush! oh I hate that! When it shoudl be the ending and you're like why is there a million pages left wtf? and it goes on and on. It sounds like aside from that it was a fun ride, though! I just got this one on audio so I'm excited to give it a try it will be my first book by this author !Glad for the warning about the ending though! Yeah, the end really did limp along, didn't it. And I wasn't a fan of the romance. The suspense, though, was great. Wish she'd focused more on writing a fantastic suspense rather than the weird romance angle. I had high hopes for this one, maybe the suspense will be good enough to keep me hooked. I'm not sure about it, I read Hush, Hush and liked it, but I couldn't even read past the second chapter on Crescendo.